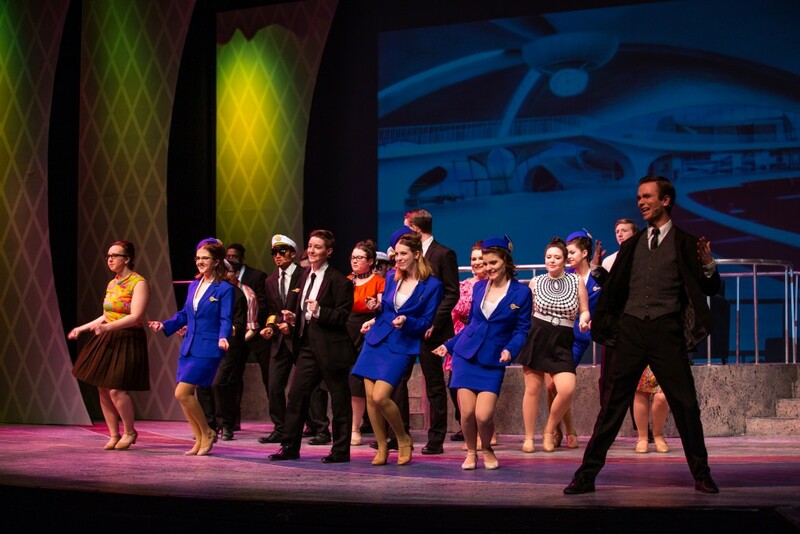 This past week, the Castleton Theater department put on their spring musical of “Catch Me If You Can.” The musical was a high energy show based on the life of Frank Abagnale Jr. who makes a living writing and cashing fraudulent checks. He is chased down by Carl Hanratty, a middle-aged and stubborn FBI agent. Castleton’s productions are made possible by students with the help of professors who supervise them. Students dedicate a majority of their schedule to perfecting a show over a four month period. Frank Abagnale Jr. was played by junior Brandon Bailey, who double majors in theater and mathematics education. He has been acting since he was 10 and participated in many Castleton productions. 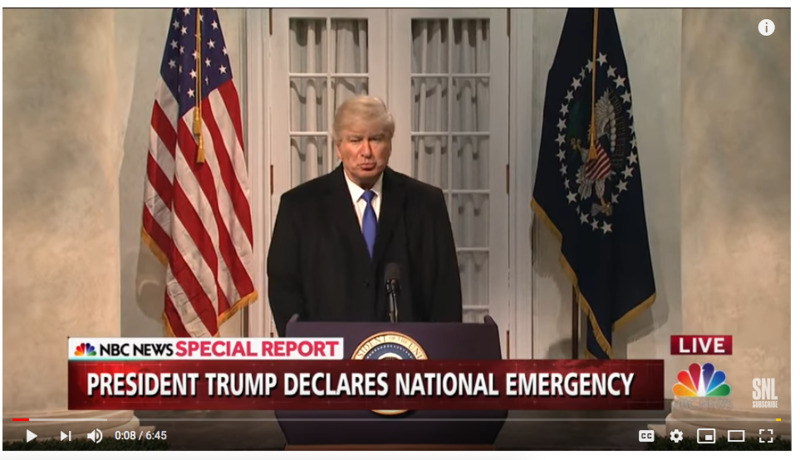 “This show was specifically very scary because everything is in such a high vocal range in the show. You have to go up to a high B flat and usually I can’t get above a G. It’s just practice, practice, and listening to the track and that really helps along with help from vocal teachers,” Bailey said. He also found the dancing to be challenging in “Catch Me if You Can” and had to spend a lot of time practicing. Jac Culpo played Carl Hanratty, another large role in the show. Culpo is a sophomore at Castleton double majoring in Communications and Theater. Culpo took on the role of Hanratty in a heartbeat. He mentioned how excited he was once he heard the song “Don’t Break The Rules,” which his character sings. “The moment I knew I was going to be Carl Hanratty, I knew that was going to be my favorite part of the show. So hands down, the energy of that, being able to be loud and yell, it was just fun, and the dancers were great,” he gushed. But even though Culpo was ecstatic to play the role of Hanratty, he was also concerned for his vocals. “I actually took vocal lessons over the summer and fall to prepare for the musical because I was like ‘I think I can sing, but God knows the fact that I don’t know how,’” he said. Culpo ended up getting a nasty head cold over the weekend of the show, but that didn’t stop him from giving it his all during the shows. It came down to drinking a lot of tea with honey, he said. Behind the lead roles of musicals, there’s the ensemble. The ensemble is the group of people that can really make a scenes pop. Not only are they acting, they are also singing and dancing. Jackson attended Burr & Burton Academy where he had two directors with history on Broadway. Needless to say, he was trained with the same intentions of what to expect on Broadway. “Obviously my high school productions is different from others because we had people who had been on Broadway before and they were practically beating you with a cane telling you ‘this is how it is in the real world; this is how you have to work.’ There, everything is much stricter and more regimented and if you don’t meet the expectations, you are reprimanded in some type of way which could be possibly losing your part,” he said. Mayo and Webber both had rigorous dance routines and some musical numbers throughout the show, which involved hours of rehearsing. But, with hard times comes determination and new lessons to learn. For Webber, she explained that the hardest part about being involved in any production is patience. “There were times in the rehearsals where the dances would get to me and they’d be really hard for me to learn. But there were also times where in singing rehearsals where I couldn’t get my harmonies right and it was annoying,” she said. But even though she and the theater family go through rough times, they all end up coming together and putting on a great show. Mayo has even been able to use what she has learned in her major back stage. “I’m an athletic training major so anytime someone gets injured in the cast they come to me. So it’s been a funny opportunity to be able to practice that and be able to develop my career by working with dancers,” she said. Another interesting aspect of Castleton productions is building sets, working with lighting, and anything technical happening on a set. Senior Thomas Tifft, a theater major, has spent his time at Castleton both acting and working in tech. Even though Tifft has acted in the past, sat at the lighting board, sound designed, and many other things, he has found his true passion is tech. He mentioned that there are things that are great about acting but would rather spend his time building the set. “The way that the institution is, is that you’re very fortunate in a sense that if you want to do anything in the theater you can as long as you’re persistent. Take classes or do training to do whatever that task is,” he said. To Bailey, Culpo, Jackson, Mayo and Webber, it’s a strong bonded family that is looking to welcome new members at any time. They all want nothing more than to add to that family and continue to make it stronger.